Through my employer Zipline Logisitics I was able to give a gift to a child at Nationwide Children’s Hospital this holiday season. We filled our office Christmas tree with paper bulbs that listed small wish items from patient families. We could grab any items we were willing to purchase on their behalf. I immediately grabbed the bulb that said toy dinausors. There is a book about toy dinosaurs that I absolutely love. It is the epitome of imagination and fun (in my opinion!) In fact, the creators of the book have a full Facebook community that I love even more. What the Dinosaurs Did Last Night, and Dinovember, imagined and created by Refe and Susan Tuma, are incredible. The authors have convinced their children that their plastic dinosaurs come alive when they sleep. Not unlike Elf of the Shelf, the dinosaurs are staged to look as though they’ve created turmoil somewhere in the house overnight. Mischievous, curious, and comical. 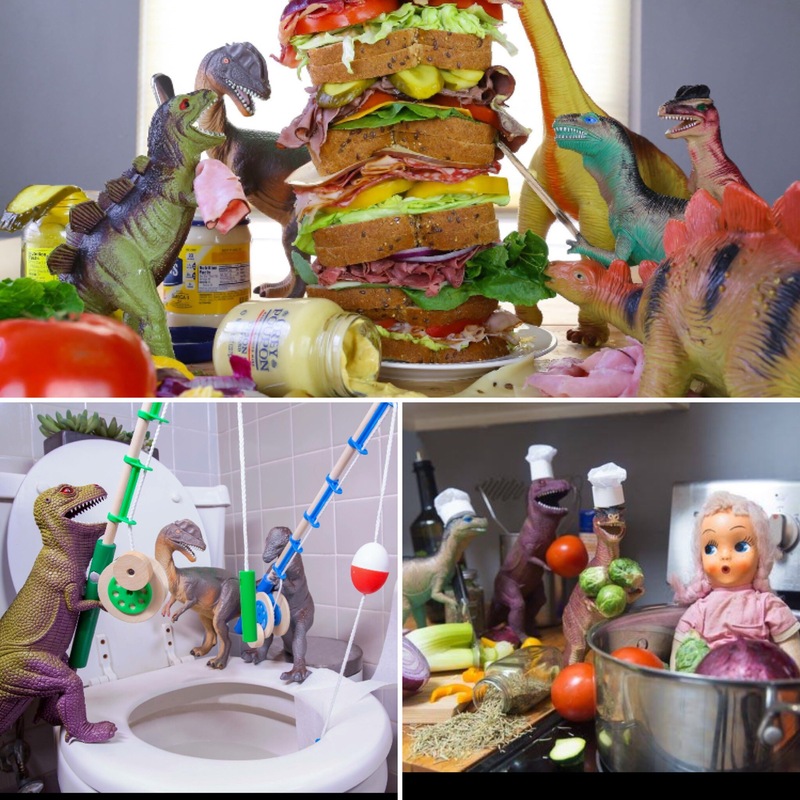 The dinosaurs get into kitchen messes, art and office supplies… really everything. It’s fantastic. They break the rules, have innocent fun, and explore all that’s around them. The idea of gifting a child the original book by the Tumas, along with actual toy dinosaurs makes me giddy! I can only imagine all the new connections that could grow in a young mind. So many adventures, hours of creating, and storytelling. One of the reasons I enjoy the Dinovember Facebook community is because followers submit their own dino mishaps. Knocked over toy bins, spilled flour, paint on walls… parents and kids collectively get into the effort. (As a marketer, I geek out at all the quality user-generated content.) Additionally, the Tumas have published numerous other dinosaur adventure books for their community to read. All of which continue to spur more creativity. Although small, this is the favorite gift I am able to give this year. I hope the child who has an interest in toy dinosaurs finds endless joy in their new avenue for exploring.